OVERSIZED RV GARAGE! (Apache Model) under construction!! THIS PRICE CAN'T BE BEAT! Beautiful new home, with 50X16 ft RV garage w/14X14 ft door (HOOKUPS INCLUDED!) Home features 9 foot ceilings! 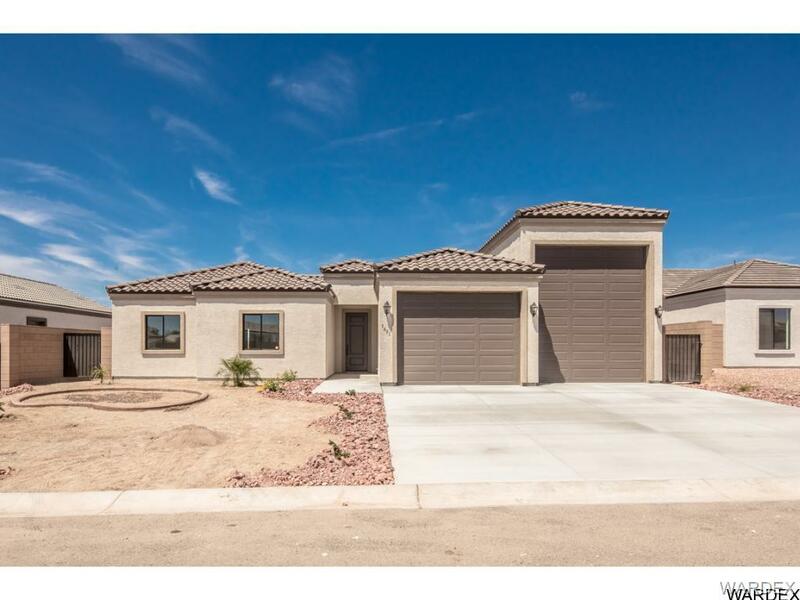 Upgraded tile throughout, carpeted bedrooms, cabinets, lighting and Moen plumbing fixtures! Stainless appliance package includes refrigerator. Granite or Quartz countertops!Security system including keypad, motion detectors, windows, doors hardwired and carbon monoxide detector. Superior construction including concrete slab with rebar, 2x6 framing, R21 walls, R50 ceiling insulation and Low E windows. Quality throughout!Landscaped front yard.BLOCK WALL AND WROUGHT IRON GATES INCLUDED. Don't miss out on this unbelievable opportunity. PHOTOS ARE SIMILAR. BUYER MAY ALSO CHOOSE LOT AND PLAN. CALL CHERI FOR MORE INFO! Buyer to verify all pertinent info.